When your customer takes time to provide feedback, they're giving you their attention (even if for a brief period of time). You can capitalize on the moment of attention by asking them to provide a good review on a site like Google+ or Facebook. 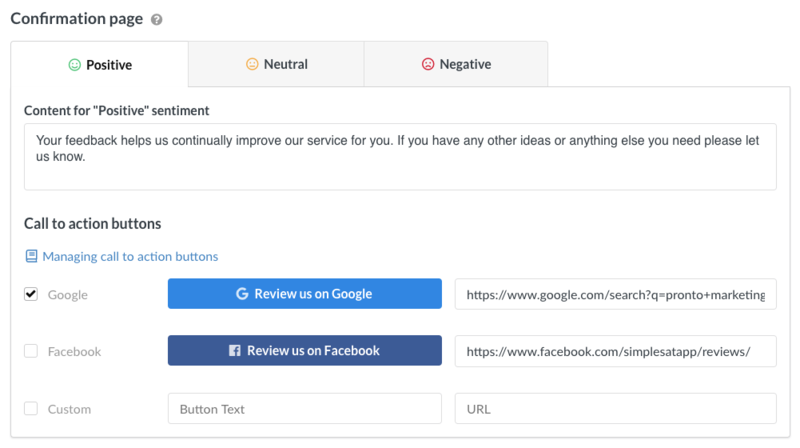 Or, if they leave negative feedback, you can send them to a channel to contact with you directly, such as scheduling a time to call, or contact form. On your survey's Config settings, you can add and manage call to action buttons for each type of rating. 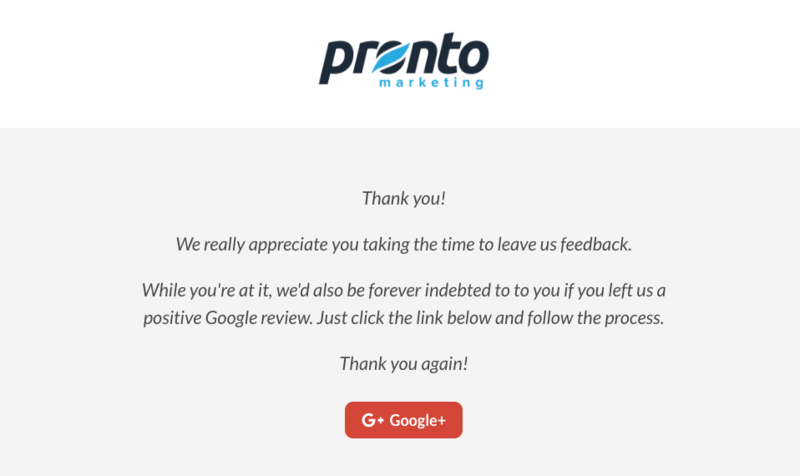 For example, if a customer leaves a positive review, you can send them to Google+ and Facebook pages. If they leave a neutral or negative review, you can send them to a page that allows them to schedule a phone call. To add a button, check the box you'd like to use and fill in the link. Note: you can use different call to action buttons based on the rating sentiment. If you have any questions or issues with this feature, please let us know!